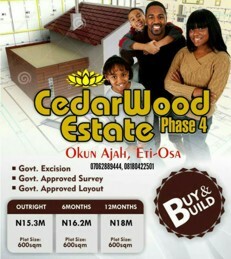 Introducing Amazing Promo Offer on Royal Flex Estate Phase 1, Ajah, Sangotedo!!! Don't be left out, take advantage of this unbeatable discount price offer, the rush is amazing! The best time to buy a landed property was many years ago.... the next best time is today! Don’t be the man who tells stories of how “I was told about this property many years ago but...” be the man who invested and tell success stories. 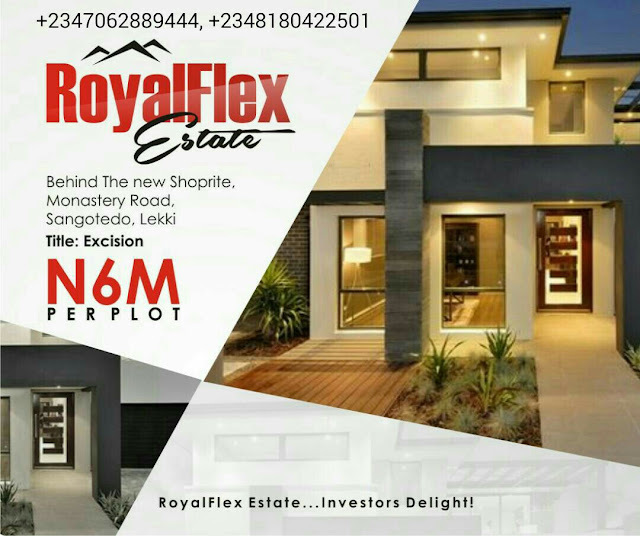 Royal Flex Estate is located in the heart of Sangotedo off Monastery Road in the neighbourhood by the New Shoprite, Emperor Estate, and CMB Estates among many shopping malls, Schools and Businesses. Royal Flex Estate was born out of the urgent need to provide a standard moderate housing in Nigeria with a combination of beauty, quality, comfort and affordability. 5. No court cases, No agent fee and Free from any known Government acquisition.